Crystal balls are usually associated with women wearing huge dangling earrings and equally large rings on their fingers hovering over the ball which has been placed on pillows and stands and would normally result to a prediction with foreboding. From modern seers, we now know that the picture is not accurate. The modern seer is different – she is confident and mysterious, she takes her craft seriously, she studies and explains her methods of divination and her crystal ball is not all clear as she engages the querent by having him infuse the ball with his energies, and then she starts to read. One of the definitions of the word divination is the practice of attempting to foretell events or discover hidden knowledge by the occult. In Crystal Balls, Crystal Bowls, Ted Andrews modifies the definition a little to: through the use of crystal balls and bowls, divination is taken out of the realm of the occult and supernatural and place it in the realm of natural knowledge, which is inherent in all of us. This is an important point. We make a big deal about the powers of certain kinds of crystals, and make our magick mirrors under a waning moon using specific herbs and formulas…and all that is useful and good, but the seership resides in you, not in a thing, not in the crystal ball. 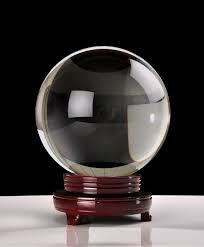 There are three types of crystal balls available: the natural quartz crystal, laboratory-grown crystal, and glass. The most experienced scryers recommend the natural quartz or lab-grown crystals, however of course, you can use whichever you feel comfortable with. Natural quartz crystal balls are cut from naturally occurring veins of crystals. These usually have inclusions or veils. Inclusions are cracks inside the crystal. Veils are like wispy clouds inside the ball. The scryer can use these to his or her advantage. For instance, when entering the crystal ball, these natural fissures can become a landscape through which the scryer may journey, or they may assist him or her in achieving a trance state. The veils and inclusions also can resemble doorways or windows into psychic realms. Lab-grown crystals are the same as those used by the electronics industry. They are grown for superconductivity, so they can be very effective scrying tools. They have the amplifying properties of natural quartz and are considerably cheaper. These are usually without veils and inclusions. Austrian crystals are lab-grown. Natural quartz crystals are not necessarily stronger than lab-grown. Although natural ones tend to be stronger, it varies, depending on the quality of both. Ultimately, you have to check each crystal ball and see for yourself. 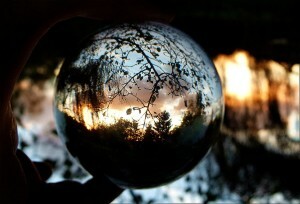 A glass sphere is much harder to read because it has none of the vibrational qualities of natural or lab-grown quartz. It doesn’t store information or amplify like quartz, so it has no history, and other than its shape, offers no help for your reading. Generally speaking, the brighter the ball is, the more powerful it is. That doesn’t mean it will sparkle. To see what I mean, hold up two balls at your local new age or rock shop. One will be recognizably brighter than the other. It will be kind of like the difference between a new white shirt and a dull, old one. The sphere need not be entirely circular to be a good gazing tool. Experts say the draw to a circular ball is more a psychological crutch than anything else. Again, you can use what is most comfortable for you. Also, when divination tools are being discussed, the age-old question arises as it usually does. Should other people touch our crystal balls, tarot cards, and the like? This is another instance of a purely personal decision. 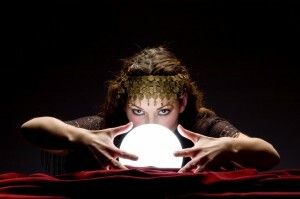 Experts share that no one should touch your crystal ball under any circumstances unless you’re giving them a reading. The reason behind it being – allowing curious people to handle the balls disrespects the ball and its spirit, as well as your sensitivity to the visions of the ball. Handlers leave their imprints on the balls. It always helps to begin your study of divination and crystal balls and should the information further interest you and wake the seer in you, continue to learn more and explore that inner skill you have. How to know if it is a Psychic Ability or just a hunch?